If you are looking for a massage specialist servicing the Wagga Wagga area, Massage Wagga Wagga has the talented team for you. We have the skill, knowledge and methods to provide you with a wide range of products and services tailored to meet your individual needs. If you are interested in a massage session but are unsure what massage is for you, just talk to one of our friendly staff from Massage Wagga Wagga to find our more information today. At Massage Wagga Wagga we are here to provide you with amazing relaxation massages to sooth your body and soul. If you are looking for a massage salon that is dedicated to working with your to achieve common goals, Massage Wagga Wagga is for you. Do you suffer for headaches and migraines? At Massage Wagga Wagga we are here to perform soothing massages on sensitive areas to ensure your neck and back are relaxed to eliminate your headaches. 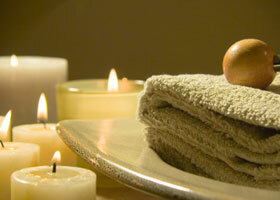 Our massage sessions are designed to relax your body while leaving you rejuvenated. This is why Massage Wagga Wagga is regarded as a leading massage salon servicing Wagga Wagga. Reiki was originally established by a Japanese Buddhist in 1922. Since then this technique has taken the world by storm and is now a request service Massage Wagga Wagga provides our clients. If you would like more information about Reiki or any other massages we offer, please contact Massage Wagga Wagga to arrange a massage session. At Massage Wagga Wagga we are committed to providing you with amazing massage sessions and services within Wagga Wagga, our massage professional won’t let you down. This is why Massage Wagga Wagga is regarded as a renowned massage specific salon servicing Wagga Wagga. For more information about our massage therapy services provided to the Wagga Wagga community, contact our expert team at Massage Wagga Wagga today.